Switzerland comprises three basic topographical areas: the Swiss Alps, the Swiss plateau or "middleland" and the Jura mountains along the north‐western border with France. The Swiss Alps are situated south of the Swiss plateau and can be divided into two main parts; the Western Alps and Eastern Alps, divided along the Rhine from the lake Bodensee to the Splügen Pass (in Graubünden). 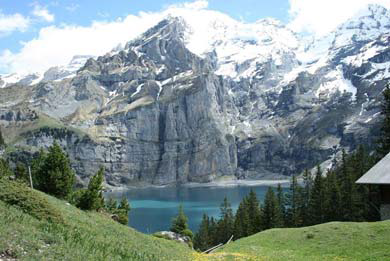 It covers about 30% of the Swiss surface and lies at an average height between 400 and 700 meters AMSL. It is the most densely populated region of Switzerland, and the most important with respect to the economy and transportation network. 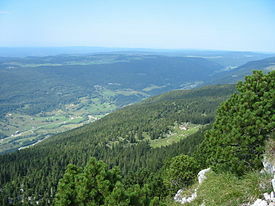 The Jura Mountains is a small mountain range located north of the Alps. La Chaux‐de‐Fonds is a city located in the Jura mountains at 1000m. The Bernese Alps are located in the western part of the Swiss Alps. The climate is generally temperate, but can vary greatly between the localities. • In spring and autumn, the range is 8 to 15 °C (46° ‐ 59° F) however all these temperatures depend on the altitude. • Winters tend to be cold, cloudy, rainy and snowy. • Summers are cool to warm, cloudy and humid with occasional showers. If your stay is shorter than three months you only need to bring your valid passport with you. This applies to citizens of the following countries: countries of the American Continent (except Belize, Dominican Republic, Haiti, and Peru), Europe, Japan, Australia and New Zealand.